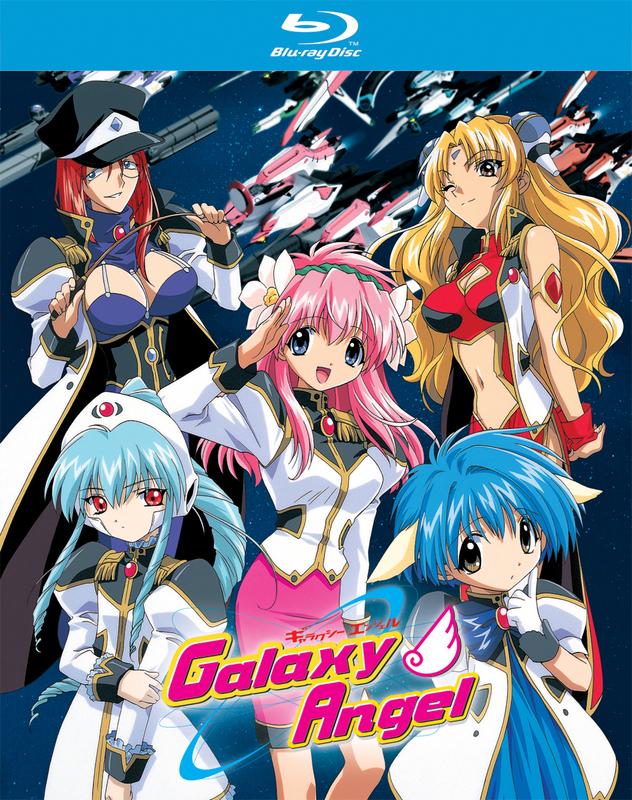 Galaxy Angel contains episodes 1-26 of the anime TV series directed by Morio Asaka featuring animation by Madhouse. Milfeulle Sakuraba is the newest member of the Angel Brigade, a branch of the Transvaal Empire military whose primary mission is to search for relics known as ‘Lost Technology’. The only problem is that no one actually knows what the Lost Technology is! Relegated to performing menial tasks of the highest priorities: a search for lost kittens, defusing of a talking missile, and delivering an old school I.D The Angel Brigade’s here to save the galaxy…one planet at a time! Special Features: Clean Opening, Clean Closing, TV Spots, Promotional Videos, Now I Get It! GA Lectures With On Screen Text Translated Into English for the First Time Ever, Character Bios, Relationship Chart, and Forte's Wishes.